Six of the 219 Chibok schoolgirls abducted in 2014 by Boko Haram are dead, activists and local officials have quoted one of the girls rescued Tuesday as saying. 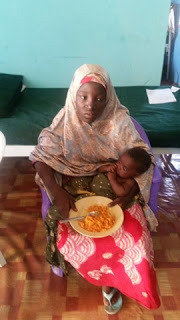 Nineteen-year-old Amina Ali Nkeki was rescued in Kulakaisa village at the fringes of Sambisa forest, by a Chibok vigilante group. In all, 218 girls remain missing after their abduction from a secondary school in north-east Nigeria in April 2014. 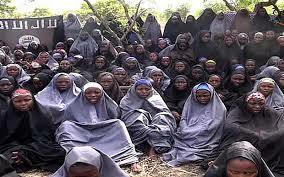 The girls were taken by militants from the Boko Haram Islamist group. Amina was reportedly identified by a civilian fighter who recognised her. The fighter belonged to the Civilian Joint Task Force (JTF), a vigilante group set up to help fight Boko Haram. Hosea Abana Tsambido, the chairman of the Chibok community in the capital, Abuja, told BBC Focus on Africa that Amina was found by the vigilantes after venturing into the forest to search for firewood. "She was saying… all the Chibok girls are still there in the Sambisa except six of them that have already died." An uncle, Yakubu Nkeki, told Associated Press news agency that Amina was later reunited with her mother in Chibok. She was 17 when abducted and is now 19, he said. In recent days, Nigerian media reported that the army had launched a number of operations against Boko Haram in the Sambisa Forest. A Nigerian army spokesman, Colonel Sani Usman Kuka Sheka, issued a statement saying that a Chibok schoolgirl was among a group of people rescued by Nigerian troops.